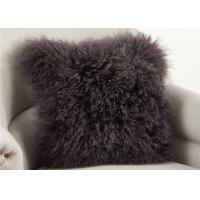 Add a groovy element to your decor, and cozy up to the warmth of wool with this Mongolian fur throw pillow. 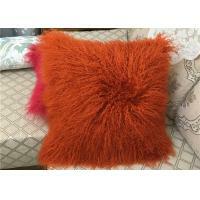 Bring the fun of vibrant color and the interest of fluffy texture to your living space, and enjoy the feel of luxurious softness when you lean back and rest your head on this throw pillow. • Lightly shake weekly or use very very low Vacuum setting •Spot clean only with warm water and gentle wool soap do not wash or soak •Allow to dry naturall in shade •No cleaners or chemicals to be used. 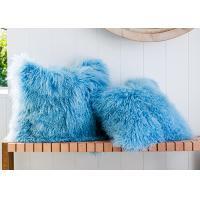 keep away from direct sunlight to prevent colour fading. Colour may transfer onto light colours. 1. Color showed in the pictures may be slightly different from the real item due to the camera light reflection, and the shiny fur reflects different colors when it is under different lights, and they looked different in day time and night time too, pls see the difference of the colors showed in pictures we took under different lights. 2. 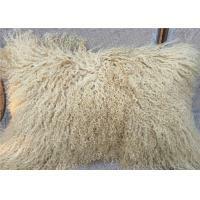 Since these pillows are original made from lambskins, the fur length or shape on each pillow maybe a little bit different or uneven here and there since we don't cut the fur short. 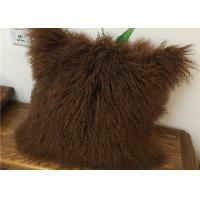 And also the leather back may look a little bit rough or have stitches to sew on the patches. Pls understand these imperfections are because of the nature of the animal skin. If perfection is what you concern, pls email and let us know what you need before buying. Thank you! Q1.What are your company's main products? 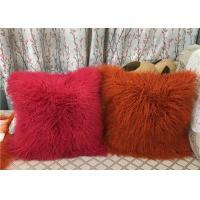 -We mainly produce plush stuffed toys, plush cushions, plush keychain toys, baby toys, educational toys, puppets, etc. Q2.Your company is factory or trading ? Q4.If I have a question or I would like to give you suggestions, how to contact you? -You can use WhatsApp, WeChat, QQ, Telphone or send e-mail to us. Q5.What will you provide service? Q6.Can you handle cargo delivery from your factory to our warehouse? 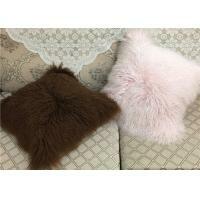 JINAN SOFT FUR PRODUCTS Co., Ltd. is a manufacturer of professional sheepskin and luxury fur, production, sales and service Since the foundation in 2003, SOFT has made its best efforts in fur products development and production, along with the OEM service providing many famous brands overseas. On March, 2015, international sales department was formally founded, since then, the so-called OEM was dispensed, for its own Chinese independent brand. 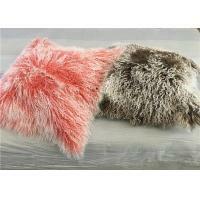 The production line now covers many disciplines such as: sheepskin, mongolian fur, fox fur, rabbit fur. 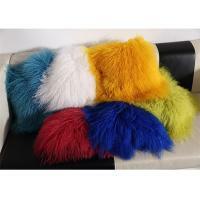 Our products include more than 50 series of products, such as: sheepskin rugs, carpets, pillows, cushions, slippers, gloves, wash mitt, car cleaning products, mongolian fur plate, rugs, pillows, trips, raccoon fur, fox fur, rabbit fur collars, garments, . The products are purchased all over the world, exported to America, Europe, Middle East and Southeast Asia and have won the customers’ loyal support. The SOFT with a raising global reputation, has attracted a group of overseas partners, and wholly owned overseas subsidiaries in counties and/or areas, such as: AUSTRALIA, UK, CANADA,GERMANY. With the management concept of “cultivate people with work, attract people with development, unify people with cause, evaluate people with result”, and the predominant orientation of training and study, the MBT has cultivated an enterprising staff who fit into the mainstream of society, serve the industry and serve the country and people. The up-coming R&D, comprehensive sales and after-sales service management system are always ready to provide you with the all direction and quality services of sales, training, tech-exchange and maintenance. Also the OEM business is available for overseas agents. 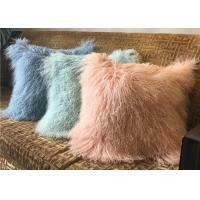 Through last six years of accumulation and development, the brand of SOFT has established a good reputation and brand awareness across the FUR industry international and domestic. In the next five years, we are determined to develop unconventionally and quickly. 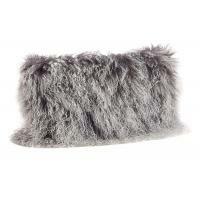 With constant innovation and creation, we are set to be the world class manufacture of FUR PRODUCTS. “Credit standing first, quality supremacy” is the company first principle. 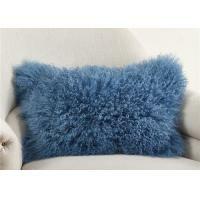 Our guideline is “customer-focused, to create value for customers and to build the international brand of SOFT”. 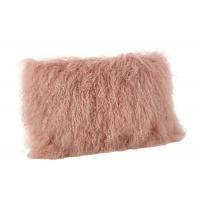 Worldwide corporations are warmly welcomed by SOFT FUR PRODUCTS! Hope to have win-win cooperation with you.